In 1990, a group of eminent educationists, philanthropists, professionals and industrialists established Institute of Leadership and Management (ILM) Trust to introduce new trends in education, training and research in Pakistan. 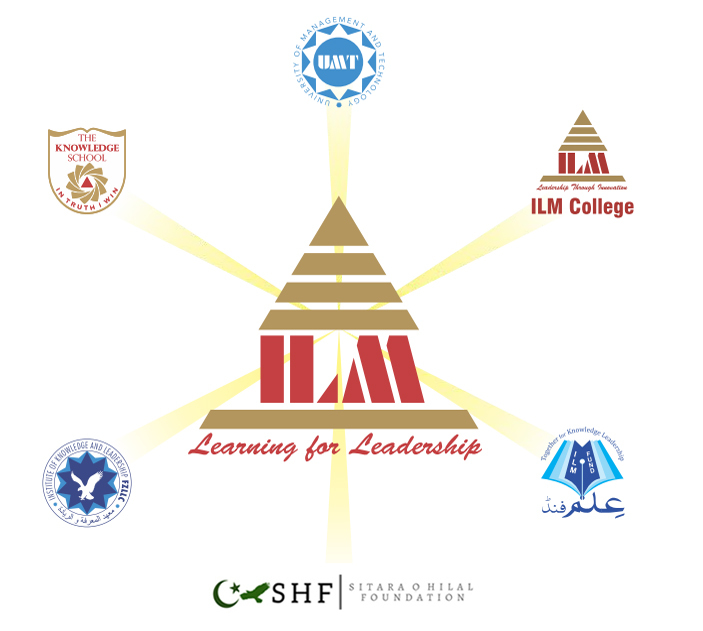 Today, ILM educational initiatives are nationally as well as internationally acclaimed symbol of quality and success. ILM trust has a myriad range of projects that have contributed towards the progress of Pakistan’s society and also producing globally responsible citizens. It provides an integrated system of quality education which takes care of all the learning needs of individual from early year of schooling until Graduate and PhD levels. Finally in a span of two decades, ILM trust has owned a portfolio of businesses in education, training and environmental friendly construction, clean energy and Islamic Finance based on convergence of academic research into commercialization of capabilities.